An op-ed in The New York Times (“He Helped Jews Escape the Holocaust. He Died Unknown”) tells the story of Aristides de Sousa Mendes, a Portuguese diplomat, who in 1940 saved tens of thousands of lives only to be punished for this heroism by his own government. Here, at Le French Book, it reminded of us Deadly Tasting, one of the mysteries in the Winemaker Detective series, in which an investigation into a series of murders in Bordeaux jogged memories about the complicated history of Bordeaux during Nazi occupation. It was a dark time: weinfuhrers ruled the wine trade, while collaborationists and paramilitary organizations spread terror throughout the region. The authors skillfully weave real history into an otherwise lighthearted mystery series, telling the story of an unsung hero. To discover. The New York Times article reminds us to remember. “Was he a great man? Was he mad in showing so little instinct for self-preservation?” one of his sons asked. “The answer lies in all of us when we try to pass judgment on him. I am proud of the fact that I was lucky enough to have such a man as my father.” Tens of thousands today are alive because of his courage. 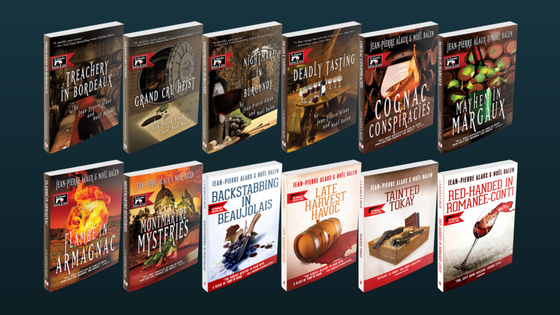 We're very excited to announce five whole weeks of giveaways on BookTrib focussed on the Winemaker Detective series. This site calls itself "The lifestyle destination for book lovers," so if you don't already know about it, you're going to want to check it out. Scroll through the whole Click to Win list while you are there. The Winemaker Detective series inspires a real wine that ranked on the Wine Enthusiasts Top 100 Cellar Selections list. It’s a celebration of fine wine, food and cigars, and a murder mystery all in one, set in Bordeaux. 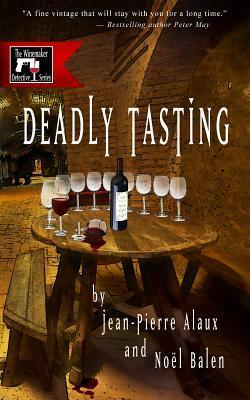 Deadly Tasting, by Jean-Pierre Alaux and Noël Balen, is another installment in the Winemaker Detective mystery series, featuring ace wine expert Benjamin Cooker and his sidekick Virgile. 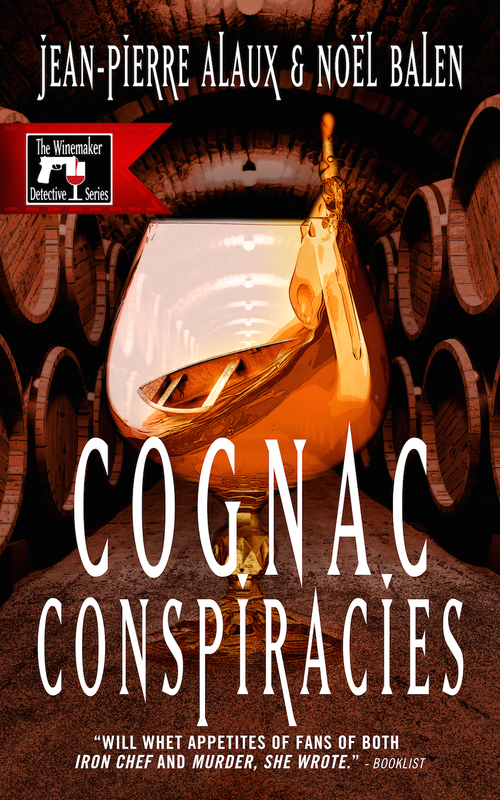 In this cozy mystery, a serial killer stalks Bordeaux, signing his crimes with a strange ritual: twelve glasses in a semi-circle, one more filled with each victim. To understand the wine-related symbolism, the local police call on the famous wine critic Benjamin Cooker. The investigation leads him and his assistant to the dark hours of France's history, as the plot thickens among the once-peaceful vineyards of Pomerol. One reviewer said it reminded him of why he fell in love with mysteries in the first place, which is quite a compliment. I find that this series just gets better, like a fine wine. This one is perhaps a little darker than the earlier ones, and you learn a lot about World War II and what it meant for Bordeaux and its winemakers. 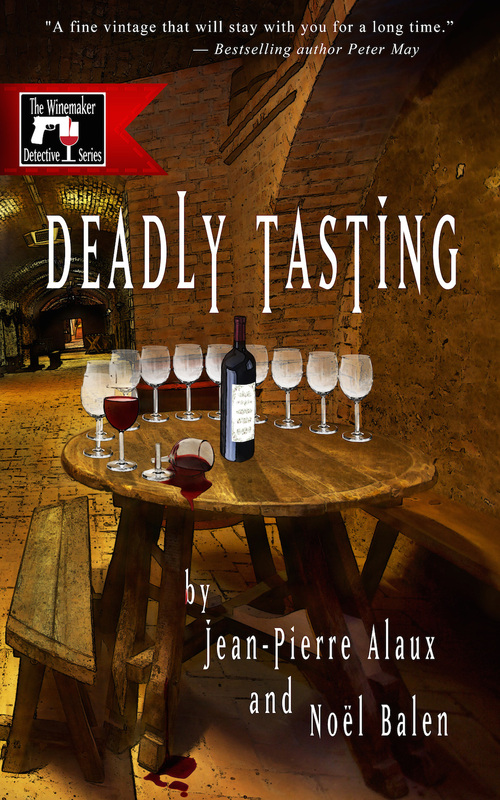 Jean-Pierre Alaux and Noël Balen on a virtual blog tour for the print release of Deadly Tasting, a new Winemaker Detective mystery. Nine books up for grabs in a giveaway too.